Not too long ago, we saw a discussion about an article called “The 12 Best Tweeters (Reviews & Ultimate Buying Guide 2018).” Being curious, we decided to check the article out to see what criteria they used to choose the products and how they tested them. Much to our dismay, there were no criteria, nor was there any testing or a simple performance review. So, what was going on? Read on and we’ll explain why you should be wary of Top 10 lists. We’ve read hundreds, if not thousands, of product reviews in our decades in this industry. 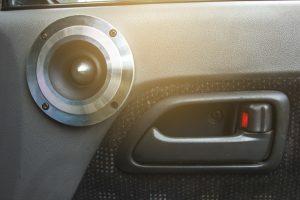 A member of the Best Car Audio staff used to review car audio products for one of the top mobile electronics magazines. We showed him the article above, and he’s still curled up in the fetal position, rocking back and forth, mumbling stuff about pink noise, microphones and distortion. In a formal product review, the goal is to explain the features and benefits of a product. In the case of a tweeter, a review would include a detailed explanation of the product design, an explanation of the materials used to build the device, lab-based measurements of the output and a listening test. Of course, a summary of the key benefits and drawbacks of the design would give readers the opportunity to decide for themselves, based on their application and budget, if that product was suitable for their application. In the article we were looking at, the only “review” was a restating of the product features from Amazon.com. Even when they did decide to get creative and provide some insight into the “quality” of the design, their comments conflicted with the ranking of the products. The number two product included a comment of “The materials used in construction are not so great,” and the number three offered “With the silk dome and metal construction od the speaker it is not the most advanced product on the market.” Yes, there is a typo in the text. Wait, isn’t this the Top 12 tweeters? Why choose to rank products number two and three if there are better solutions available? Of course, anyone who writes articles wants people to read them, and at times, a little creative license or enthusiasm is OK to draw attention to the work. In the case of the Top 12 tweeter article, and all the other articles on that website, all you are getting is a list. Yes, they have put some effort into compiling the list, writing somewhat useless text and stealing photos from manufacturer websites (yeah, you can’t just take those and do whatever you want with them). Using the “Top 5,” “Top 10,” “The Best” or any other type of clickbait title is designed purely to get you to read the article, even though the content doesn’t offer any quantification of the performance of value of the product. So, Why Make a Top 10 List? Now that you know what should be in a product review, or in this case, a product comparison, and clearly, that hasn’t been provided, why did they go to all the trouble of making the website and the article? The answer is to make money. You see, each product includes a link to “check the latest price on Amazon.” If you hover your mouse over the link, you’ll see that the website name is included as a tag in the link. This is called an associate link. If you follow the link and purchase the product, the website that provided the link gets a kickback from Amazon. Depending on the category, the kickback can be anywhere from 1 percent to 10 percent of the selling price. In terms of the website making money, it’s well worth the effort. When it comes to helping you choose the best possible products for your car audio system, the goal of a reputable specialist mobile electronics retailer is to quantify your goals, understand your application and then suggest a solution that will fulfill those requirements. 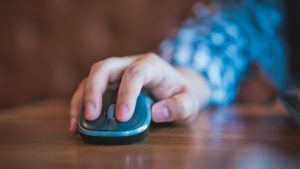 Internet articles that purport to offer this information are doomed from the outset because they haven’t fulfilled the two most important tasks: qualification and application. Imagine you are looking for a tweeter that will fit into the factory location in the doors of your Honda Civic. A large bullet tweeter simply won’t fit. 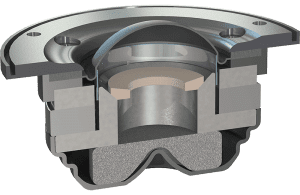 Conversely, in a scenario where you have a wall of subwoofers in the back of your SUV and you want a dozen tweeters to mount around them, a reputable retailer might not suggest a small silk-dome solution. The “best” tweeter is the one that fits in your application, sounds the way you want and works with your budget. 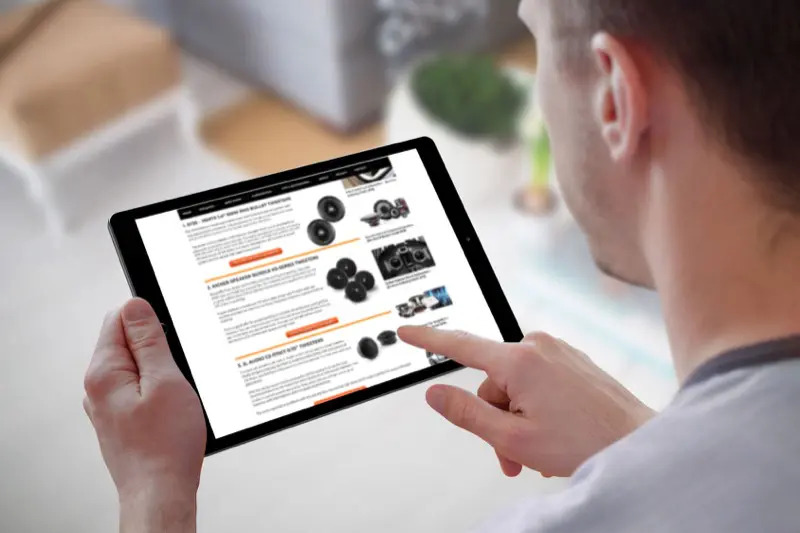 Rather than waste time with clickbait articles that lack any substance, the next time you want to upgrade the sound system in your vehicle, drop by your local specialist mobile electronics retailer and ask them for some help. They will likely have products on display for you to audition and may even have a demo vehicle to check out. Most importantly, they are there to make sure you get the right solution and to install and configure it to provide the best performance possible.